Exercise bikes under $500 might lack the prestige of pricier models, but some earn good marks for durability and power. A bike from this price class could be your best bet for building a home gym inexpensively, as it’s likely to outlast any treadmill or elliptical found in the same price range. Comparing the bikes under $500, be especially wary of short stride paths. Pedaling with a good range of motion will be critical to your comfort… and exercising with a poor range of motion could do harm in the long run. The best exercise bikes in any price bracket can be adjusted to fit any rider. Look for options with seats that adjust up and down, forward and back. Also look for the heaviest flywheel possible for the price. A heavier wheel allows smoother rides and can accommodate more ability levels. Top-scoring models for 2019 are featured below on our “Best Rated Exercise Bikes” chart. Exercise bikes under $500 are surprisingly dependable, especially when compared to traditionally low rated ellipticals and treadmills offered in the same price range. The reason for this likely falls under two explanations A) exercise bikes have less wear parts and features compared to other types of exercise equipment, thus reducing the potential for cheap parts break downs and B) exercise bikes are generally lower priced compared to treadmills and ellipticals to begin with. Exercise bikes under $500 actually compare favorably to exercise bikes from $1,000 to $1,500. The major difference is that exercise bikes under $500 do not quite have the number of extra features and luxuries of the higher priced models. If you consider one of the Top 5 Exercise Bikes Under $500 (above) you’ll be surprised to find some very dependable trainers. 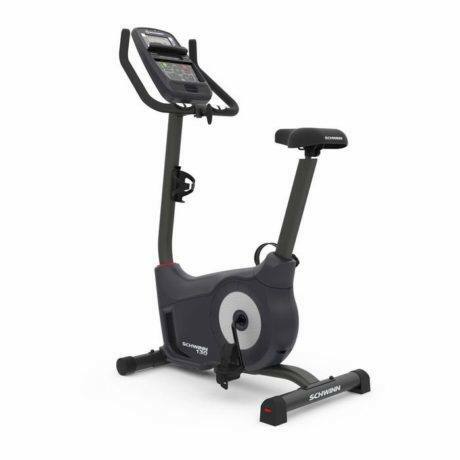 When shopping for an exercise bike priced at $500 or lower the four most important things to compare and contrast is the resistance type/drive system, number of resistance levels, durability of the frame as well as the warranty & guarantee. If the warranty is poor, it probably shows a lot about the manufacture’s confidence in the trainer. You need something that is not only proficient in meeting your fitness demands but also dependable.